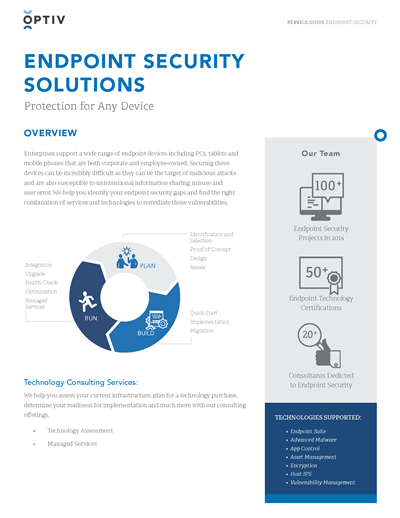 Enterprises support a wide range of endpoint devices including PCs, tablets and mobile phones that are both corporate and employee-owned. Securing these devices can be incredibly difficult as they can be the target of malicious attacks and are also susceptible to unintentional information sharing, misuse and user error. Learn how we help you identify your endpoint security gaps and find the right combination of services and technologies to remediate those vulnerabilities.